Jordan Brand is expanding their “Premium Essentials” series with the debut of the the Air Jordan 1 Premium Essentials Sail colorway. This release will debut alongside the “Triple Black” pair for Summer 2017. Dressed in a Sail and University Red color scheme. The shoe features a tumbled and smooth leather upper with perforated toecaps and matching rubber outsole. Giving the shoe a bit of contrast are the University Red “Nike Air” tongue tags. Look for the Air Jordan 1 Retro High OG Premium Essentials “Sail” to release on August 1st at select Jordan Brand retailers and Nike.com. The retail price tag is set at $160 USD. 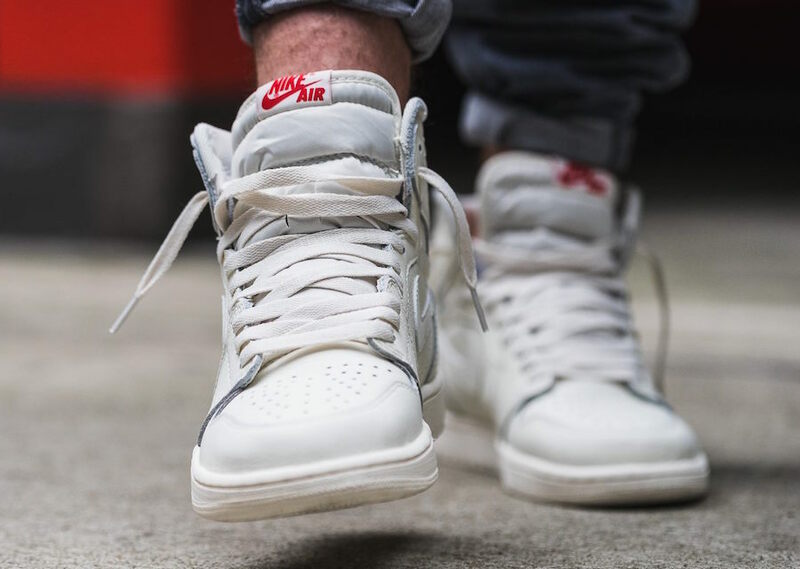 UPDATE: A few on-feet shots of the Air Jordan 1 Premium Essentials in Sail via Overkill.